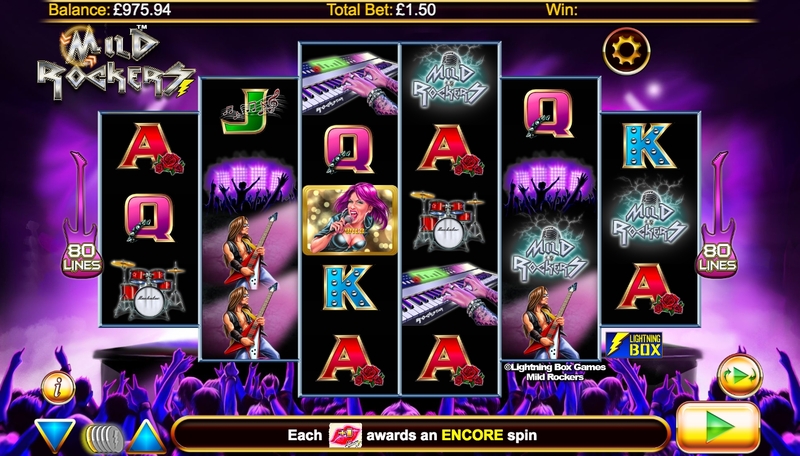 Mild Rockers slot is music-themed title from the developer Lightning Box Games. The unusual reel format is 6 reels over 3-4-5-5-4-3 rows with a total 80 paylines. As the name suggests, the game is set at a rock concert, with members of the Mild Rockers band featured on the reels. 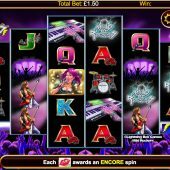 The free spins feature in Mild Rockers is where all the action is, with 8 free spins available. During the feature you can earn Encore Spins, which follow the free spins with up to 48 Encore spins available. Stacked Mild Rockers Wilds will give more winning possibilities during this feature. With up to 1,400x your stake available, this is definitely a medium to high volatility game. The Theoretical return to player (RTP) is 95.57%, which is a bit lower than many other online slots. If you like 6 reel games, you may also want to check out Playtech's The Dark Knight. Although it would be fair to say that this game is more similar to IGT's Sumatran Storm or Hexbreaker 2 is shape and style.